Is it possible to take normal, healthy, emotionally stable people who do not think they’re psychic, and haven’t really had any prior experiences to their knowledge, and train them to become functionally, reliable psychics? That is, it appears that everyone may have some latent psychic potential that can be developed and honed with the right type of positive feedback and reinforcement. However, it’s crucial that such feedback occur very close in time to when the person makes a correct or incorrect statement, otherwise it will have little, if any, effect. In order for this learning paradigm to function properly, a person must slowly come to recognize what internal feelings and sensations are associated with accurate paranormal information (signal) access as opposed to inaccurate information, a.k.a. primary process distortion and fantasy (noise). I suspect that only a very small percentage of the population, maybe between five and ten percent, possess such inherent faculties that are consistently demonstrable. This is somewhat comparable to sports in that most people can occasionally participate in some kind of sport when young, but few have the strength, stamina, endurance, reflexes and coordination necessary to become a professional athlete in any given sport. As I’m really into motorsports like Formula 1 and American Le Mans road racing, let’s just look at that particular event for a direct analog. While everyone can essentially drive a car, few could tolerate the extremely high g-loading forces on the neck and arms, where your body would suddenly feel like it weighs four to five times it’s weight. Even fewer would have the stamina, endurance, depth perception, reflexes and hand, eye, foot coordination to be competitive in such a grueling physical sport. But this doesn’t mean that one cannot learn things to improve their driving skills on the road. Our psi training groups were held at UCLA’s Neuropsychiatric Institute (NPI) [now the Semel Institute] on Wednesday nights from 1971 through 1980. These training groups, applied positive feedback and reinforcement incorporating a free-verbal response (FVR) as opposed to forced-choice method, as a learning paradigm to enhance and train paranormal perception. Put more simply, we were attempting to teach people how to differentiate and distinguish between normal fantasy and/or cognitively processed thoughts and informational input from sources that are non-localized from them in space and time, e.g. ESP. In those halcyon times, these perceptions were referred to as telepathy, clairvoyance, precognition and retrocognition, as opposed to the all-encompassing “remote viewing” nomenclature of today. A rose by any other name. Over the first few years, we had numerous recurring visitors from the CIA, Defense Intelligence Agency (DIA), Office of Naval Research (ONR), Office of Naval Intelligence (ONI), the National Security Agency (NSA), National Reconnaissance Office (NRO), Defense Language Institute (DLI) and the Defense Advanced Research Project’s Agency (DARPA) as they became very interested in what we were doing and had already achieved. Initially, we had no knowledge whatsoever of who these recurring visitors were or where they were from until the sessions were completed (a single blind condition). On one particular early visit, our group was simply given the first name of a man. We suddenly began describing very specific details of a new nuclear ballistic missile submarine and it’s new, highly accurate, long-range missiles. When the feedback part of this session was reached and the room lights we turned back on, we were witness to several men sitting there with their collective mouths hanging open with ashen white faces. What in the hell was going on? Of what they could reveal, our comments very accurately described many of the details for the new Trident ballistic missile submarine (a boomer) and its ten-MIRV’D, D-5 missile. This was all highly classified, sensitive data that we could not have known or had access to. I guess these visitors were impressed by what we did, as these military intelligence officers immediately demanded the surrender of the audio tape from that session and that we all sign national security oaths. Needless to say, we complied. Representatives of the various intelligence groups made repeated visits to our group over time to assure themselves that our success on that first night was not a coincidence or a trick. After we demonstrated that what we were doing was real, demonstrable and reproducible, the various intelligence groups asked that we work with and for them in several capacities. Sounded like an interesting and compelling proposition? However, there was one unanticipated and insurmountable obstacle regarding this; UCLA. Apparently, both UCLA and the NPI itself, were horrified at the thought of being formally, publicly and professionally linked to parapsychology, which was thought of at the time as pseudo-science and quackery by mainstream science, but especially by behavioral science. Such an alliance could have been political suicide for a university dependent on public perception and regular endowments? Isn’t it interesting that more than four decades later, and nothing’s really changed, has it? Perhaps the fact that the NPI was already associated with psycho-surgery and orbital undercutting, was all the negative press it could tolerate? Due to our unavailability dictated by university politics and damage control, the government’s focus shifted northward to Menlo Park, California. After having conducted these groups for seven years, even the continued positive results we were achieving were now boring. You know, that been there, done that, sort of feeling. More specifically, the ability of reaching into anothers mind or observing things at a distance, we now perceived as somewhat commonplace and ordinary. Hard to believe, I know. However, when there is high degree of success and continuity with such extraordinary research efforts, one tends to become jaded. I guess that this attitude is just part of being human in that we begin taking things for granted. In an effort to make things more interesting, we decided to attempt our first precognitive effort with this group. We turned off the lights in the NPI’s C-floor observation/conference room and went through our normal progressive muscular relaxation procedure. Once we had attained this hypo-metabolic state, we mentally focused on the “target” person of the next week’s first session. In a way, the verbal reinforcements given during this part of this session were similar to what Christopher Reeve as Richard Collier in Somewhere In Time (Universal, 1980) verbalized when attempting to physically transport himself back through time. Except of course, we didn’t expect to physically travel in time, and obviously we weren’t producing a fantasy film at the time either. We began describing the “target” person as a tall, beautifully statuesque, blue-eyed blond girl dressed in a tan business suit. We continued our verbalizations into the centrally placed, amplified, microphone within the otherwise sensory-deprived room as we clearly saw the specific number on the chair in which she was sitting (there were twenty-four chairs in this conference room, each of which was numbered). As the session continued, we “saw” a very large mansion-like home, within which was a large baby-grand piano. Numerous bits of varying types of personal information continued to flow from our mouths for quite some time. And then, silence. Vocally piercing the darkened conference room, we all abruptly began describing a tall man wearing all black, with a black hat, black mask, a flowing black cape and an imposing sword. I remember thinking, what kind of crap are we uttering? The session ended and we didn’t give much thought to what we had just said because it wasn’t relevant yet. It was now one week later and another group was about to begin. However, on this particular evening, no guest member from the prior week was allowed to bring a visitor. Any new participants on this night could only arrive through third parties who had not been in attendance for the last several weeks, i.e., through independent means. When each new person arrived they were handed a sealed envelope with a number from one through twelve written on a piece of paper within it. Once in the conference room, we rolled the dice and then asked all new visitors to open their sealed envelopes. Whichever person’s number fit the dice roll was the randomly chosen target person for the first session. We had all pretty much forgotten what we had said a week earlier, so when a statuesque blue-eyed, blond girl’s number matched the dice roll, we didn’t give it second thought. I asked this stunning 19-yr old woman, named Toni, to replay the audiotape from the week before and if she heard any statements that directly related to her, stop the tape and comment on them. If the statements were incorrect, let the tape run without interruption. Toni didn’t immediately understand what I just said, forcing me clarify this protocol again. Toni listens, as voices clearly describe her appearance and clothing in detail as well as the exact number of the chair she is seated in. Her look is one of astonishment, although the best was yet to come. When she hears the specific description of the mansion in the hills with the baby grand piano, her eyes open even wider, as those data points were also correct. But those could have been coincidence, couldn’t they? However, then came what I believe to be one of the most fascinating pieces of precognized information that has ever been documented? Let’s see if you agree. When we finished our discourse on the black costumed man with the mask and sword, Toni let out a somewhat muffled scream. There was hesitation in her voice and for good reason. Toni looked at me and said: “How do you know who I am?” My immediate response was to look at her while shrugging my shoulders, “What do you mean, who you are?” Toni tells our group that her full name is “Toni Williams”. We all looked at Toni with blank, expressionless faces, as we did not understand what she was referring to. Who was Toni Williams? Realizing that our group really didn’t know who “Toni Williams” was, she connected the dots for us. Apparently, Toni knew all too well exactly who the masked, darkly dressed, swordsman was. In fact, she knew him for her entire life. 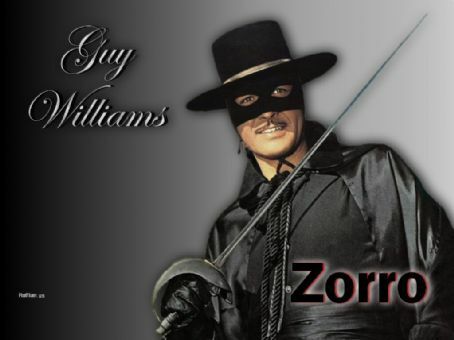 The ornately costumed man turned out to be her father, Guy Williams, the actor who played Zorro in the Disney television series from the late fifties and early sixties. 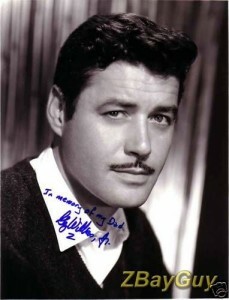 You might better remember Guy Williams from another TV series in the mid-sixties, where he played Professor John Robinson in CBS’s Lost In Space. Toni was speechless and just a little frightened. She looked at all of us as though we were beings from another reality. She sheepishly asked when this tape was made and we told her exactly one week earlier. However, Toni did not even know of, or that she was even coming to our group until several hours earlier that very day! Toni’s question was a simple one. How could we have so accurately described her and her surroundings seven days earlier when she wasn’t even aware of us, or of our group? Indeed, how could we have perceived such an event unless the information pertaining to it already existed? What are the odds of us accurately describing such state specific information about an event one hundred and sixty eight hours before it occurred? What’s the probability of our precisely describing the Zorro character as related to his daughter one week prior to her random appearance and selection as a target in our group? A million-to-one? A billion-to-one? A trillion-to-one? Okay, let’s just say astronomical and leave it at that! Does this event sound like we were randomly guessing as to the shape of things to come? information described herein. Give me a break? Needless to say, Toni never again returned to participate in one of our research groups, as her one experience with us was more than enough. I can certainly understand how unsettling such an unusual experience can be. But then, as I think about it, maybe I can’t. As we were all very impressed with our first foray into the future, we attempted to replicate our results several months later, little knowing what the full emotional impact of such accurately precognized information would have on some of us. During this second attempt things went very differently though. All any of us could “sense” was fire, and more fire. We didn’t know why this was, but it certainly wasn’t worth getting all that upset over. Well, at least, not until the next day. On that following Thursday, while up in the lab on 2-South of the NPI, I heard the arrival of many fire engines. Racing down to the C-Floor, I discovered that our conference room had apparently caught fire due to a shorting socket that sparked the drapes covering the room’s west-facing wall. What a coincidence and shock (oops, there’s another pun). And no, I did not start the fire myself to produce a self-fulfilling prophecy. After these two successful treks into the future, several of our regular group members became depressed and starting having anxiety attacks about the possibility that the future is as immutable as the past, and that free will may be little more than an illusion. My response to these reactions was simple, “Who cares! We’re still going to live out our lives making daily judgments and choices without knowing the shape of things to come whether the future is random and open to change or predestined.” For some reason, my attitude regarding such matters doesn’t seem to be shared by many others. Why is that? For some reason, I cannot as yet fathom the belief that reality is random and chaotic. To me personally, my experiences and research strongly suggest that reality is finitely ordered and predetermined, and this belief gives me a sense of inner peace. Maybe I just can’t accept the notion that anything as vast and extraordinarily intricate and complex as the universe could be the result of random, chaotic energy. No way! Or perhaps, I’ve had way too many precognitive experiences growing up, both in and out of the lab environment to believe otherwise. Another fascinating incident occurred several years earlier when a semi-regular to our group, Janet, decided to act as a target for the first time, something she had always refused to do. The room lights were extinguished, the microphones were turned on and target was given as a man’s first name, and the rest followed in short order. Many of us started describing a large, expensive home in a very rustic and seemingly lush, forested area. The home had very large, walls made of glass looking out into what seemed like trees and shrubs. The kitchen was lined, quite oddly, with empty jars of Bac-O -Bits. We then began trying to phonetically articulate this man’s last name. While I am unable to provide his name due to privacy concerns as he was and still is quite famous, our vocalizations were within about 98% of accuracy even though it’s a rather peculiar last name. But that was nothing compared to what was about to come forth from our collective mouths. We began vividly describing this man being brutally mugged by several people, it was quite horrible in its ferocity. As we were quite sickened by what we just saw in our mind’s eye, we decided to stop the session at that point. Turning the lights back on, we handed Janet the recorder controls and told her to play back the tape and respond accordingly. This man was someone that Janet had been dating at the time, and he lived in a house almost identical to what we had just described, even down to the point of the empty jars of Bac-O-Bits lining the lower, exposed shelves in the kitchen. When we learned of this man’s last name, it was truly astounding as to how close our pronunciations of it were. But when Janet hit the part of her friend being mugged and she was emphatic that such an event had never occurred to either him or her. At least that what she believed. Several days later I received a rather frantic call from Janet while in the lab. She informed me that on the very night she was participating in our group, her friend was up in the San Francisco Bay area, and was being viciously mugged at the exact time her session was transpiring in our lab. But wait, if Janet did not know what was happening to her friend hundreds of miles away, then what was the source of our accurate psychic perceptions? Several years later, one of our regulars, a director by the name of Steve (and no, not Spielberg), who bore a striking resemblance to an older, thicker featured Christopher Reeve, brought a female friend to our group by the name of Roberta. She also volunteered to be a target. Other than her first name we had no idea who she was or what type of unsettling event was about to occur. Roberta simply gave us the name Al, and that was it. We had no way to knowing who Al was or who he was related to Roberta. In our sensory deprived room, we began describing him as being around 6’2″, rather stocky, with reddish-brown hair and blue eyes. We went on to discuss that he had a very unusual voice and was extremely volatile and violent, where we saw him repeatedly beating Roberta and his eventually killing her. As our comments were getting more and more disturbing in nature, we thought that it was best that we stop the session at that point. With the lights on, Roberta took the recorder control and started playing the tape back. She was visibly upset, and for good reason. last sixty years, you’ve certainly seen him in everything from Cheyenne, Bonanza, Alfred Hitchcock to three appearances on the original Twilight Zone series, two of the half-hour shows and one hour-long episode. Remember the show entitled “Execution” (1960), where a man named Joe Caswell, is about to be hanged for murder in the wild west when he suddenly disappears from the hangman’s noose and appears within a time machine at the laboratory of Russel Johnson (the professor from Gilligans Island) in 1960? Johnson utters one of the all-time great one liners “I know this isn’t very scientific, but I don’t like his looks”. 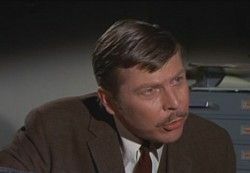 Caswell eventually kills Johnson’s character and ends up being strangled with a window-shade cord by a contemporary burglar. The burglar then ends up wandering into the time machine which he accidentally activates, sending him back to the past where he end’s up materializing in the same hangman’s noose that Caswell began the show in. Our physical description of Salmi was perfect, as were many other details of his life and living conditions. Finally, Roberta gets to the end where we commented on Salmi’s volatile/violent nature. More than twelve years later, on April of 1990, Albert Salmi, then 62, first shot his wife Roberta, then 55, and then himself. Back at our groups in the late ’70’s, Steve brings yet another guest to our group. This time, it’s well known character actor who’s worked in both movies and television for decades. You’d recognize his face and voice in a heartbeat. Due to privacy concerns, his name will not be mentioned here, but let’s call him Robert. Robert volunteers to be the target. The protocols are followed and we begin uttering some very strange things in the pitch black room. While we were clearly given the name of a woman, several of us simultaneously start commenting on the fact that this woman, was actually a man, a transsexual. When we finished with the session, Robert began his commentary on our words as if nothing we said was at all relevant. As Robert began verifying one thing after another, the tape finally came to the part where we discussed the altered sexuality of Robert’s friend, whom he lived with. Once Robert heard what we had said, he turned red in the face, rapidly stood up from his chair and abruptly left the room, never to return. Steve later informed us about Robert’s transsexual girlfriend, which then explained his rapid departure from our room. This was probably the last thing that Robert ever expected us to pick up, which is why it occurred. In what was now well known to us, the more deeply buried something was within the target person’s mind, the more likely it was to show up in our comments. And, as part of the introduction to new group participants was to not censor yourself when verbalizing your thoughts, we freely spoke whatever thoughts entered our heads, and it was all too often quite accurate. Perhaps the most unexpected and astonishing moments of this psi training program was when a girl by the name of Paula visited our group in late 1979. 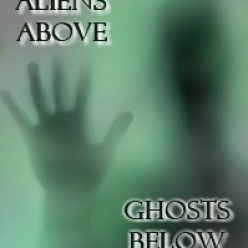 Paula was a rather intense poltergeist agent who is discussed in my book Aliens Above, Ghosts Below: Explorations of the Unknown. While her session was unremarkable in terms of its informational content, it’s visual component was most memorable. While seated in our pitch-black room, a very large, bright red, luminous anomaly was emitted by her petite form. This amazing visual display was about the size of an average human head and almost perfectly spherical in shape. It rapidly shot out across the rather larger room and then just disappeared as if someone had turned off a light bulb. Our entire group jumped in almost perfect unison upon witnessing this incredible fireworks-like manifestation, and several of us responded with a loud vocal reaction. We immediately turned the lights on to find Paula crouched down and cowering in her chair, like a terrified 8-year old child. She immediately got up and ran out of the room and the NPI, immediately driving herself home. She never returned to the group, and I do not blame her. Our psi training groups ran from 1971 through 1980 at the NPI. Once the lab closed, we moved the groups to various off-campus office complexes in the Westwood area for several years and then into the home of one of our regular members. The program finally ended in 1987, with over 3,200 separate sessions being conducted. The qualitative and quantitative data collected was truly extraordinary and the evidence was overwhelming in terms of demonstrating a highly reproducible paranormal event on demand. That’s why all the various government agencies were so damn interested in what we were doing. We witnessed meteorological effects, tidal effects, as well as the far more subtle, yet pronounced, emotional ones. I seriously doubt if I’ll ever again experience such a consistent level of controlled paranormal experimental results. What was learned and accomplished from this program was truly amazing. That psi is both space-like and time-like, which in layman’s terms means that it is not affected by distance or time, in that it is indeed possible to access information regarding people and events that are not local to you in both time and space. That there’s really no fundamental difference between telepathy, clairvoyance, precognition or retrocognition. What we call such remotely accessed information entirely depends on where we are at the time we perceive it and where it appears to come from. That is, if it comes from our past, we call such information retrocognition. If it comes from our future, we describe such perception as precognition. If the information stems from a human mind at any distance, it’s classified as telepathic, and if such remotely accessed information is spatially displaced from us without the mediation of another mind, we call that clairvoyance. In the end, it’s all little more than than remote accessing of information from our bodies without working through our normal sensory systems. But most importantly, was that it is indeed possible to “train” some people to become psychic. However, there is a major qualifier here. Just as it is possible to improve anyone’s golfing score or auto racing skills, few will become professionals athletes in either sport. 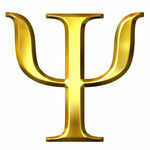 Everyone comes to the party with an inherent or latent psychic potential. On one side side of the bell curve are those people who with some training will become psychic superstars in the purist sense of the word. On the other side of the curve are those people who are totally immune to any type of learning methods as their psychic potential is extremely low or non-existent. In the middle of the curve, are those people who have occasional encounters with paranormal perception, but it’s almost random and mostly totally dependent on the specific situation, where emotionally stressful events are the trigger and mediator. Additionally, each person who does positively respond to these methods seems to develop along different lines. That is, our psychic perception is attracted to and repelled from information just as our conscious mind is. This is a very subjective, need-relevant based mechanism, where we pay attention to those things that are very important to us and we’re attracted to, or repulsed from. You could almost refer to this process as being related to the approach-avoidance mechanism spoken of in psychology. One final word of caution here though. We did have those situations wherein once someone’s consciousness was opened up to this data acquisition method, they began having problems mediating the process and turning it off. And all too often, information was perceived that was very upsetting, unnerving and anxiety producing, especially if it dealt with matters that were out of the control of the recipient. When this occurred, individuals would have severe anxiety or panic attacks, that occasionally resulted in serious emotional scarring. I could write another entire book, based purely on the fallout experienced due to the lack of any proper coping mechanism such people had to this alteration of their perceptual abilities. From developing a messianic complex, to religious zealotry, delusions of grandeur, paranoid schizophrenia, dissociative thinking and borderline personalities. It’s was all there, and they were not that uncommon of a reaction to this process. URGENT: THE CONSCIOUSNESS ALTERING PROCESS BRIEFLY DESCRIBED HEREIN IS NOT A JOKE OR TO BE TAKEN LIGHTLY. IT IS A FUNDAMENTAL RESTRUCTURING OF THE WAY WE PROCESS INFORMATION BOTH WITHIN AND WITHOUT OF OURSELVES. THIS CAN DRAMATICALLY ALTER ONES LIFE AND NOT ALWAYS IN THE MOST POSITIVE WAYS. IN WAYS FAR TOO DETAILED AND LENGTHY TO EXPLAIN HERE, SUCH SUDDEN AND PERHAPS UNFORESEEN CONSCIOUSNESS DEVELOPMENT CAN BE A TRAP, WHEREIN ONE PAYS MORE ATTENTION TO WHAT’S GOING ON INSIDE THEIR HEAD AS OPPOSED TO WHAT’S TRANSPIRING AROUND THEM IN THE REAL, PHYSICAL WORLD. ADDITIONALLY, THERE IS ALWAYS THE INHERENT PRIMARY PROCESS (NOISE) WHICH WILL CREATE DISTORTION, AS WELL AS AN ELEMENT OF REFABRICATION AND DENIAL. IN LAYMAN’S TERMS, THIS MEANS THAT THIS MECHANISM IS FLAWED WITH A RELATIVELY LOW SIGNAL-TO-NOISE RATIO IN MOST CASES AND DOES NOT WORK PERFECTLY. FACTORS SUCH AS MOTIVATION, STIMULATION, FATIGUE, BOREDOM, ANXIETY AND PROACTIVE INHIBITION ARE ALL MEDIATING VARIABLES GENERALLY NOT UNDER ONES CONTROL THAT WILL INEVITABLY AFFECT ONE’S PERFORMANCE IN THIS REGARD. THEREFORE, ENTER THIS REALM AT YOUR OWN WELL-INFORMED RISK. You all know what disinformation is, right? This method, commonly used in war-fighting and intelligence work, is VERY important to consider when dealing with the paranormal and ufology, as it appears that the powers that be want to keep the public both uninformed and misdirected on these topics. Disinformation is when people are fed erroneous information regarding a specific subject(s) with the intention of creating an illusory reality so as to misdirect ones’ attention from one event onto another, or to obfuscate the truth with a generic lie. One method is where a major lie is surrounded with many truthful facts. When the truths are proven to be genuine, the lie in their midst is taken along for the same ride and believed to be authentic. Another common method is where a great truth is encapsulated amongst many lies. When the lies are proven to be misinformation, the truth is also believed to be a lie. As simple as these disinformational methods appear, they work very effectively on people who are conditioned to believe in what they’re told by authority figures, are uneducated, ignorant or generally apathetic about things they don’t know much about. It’s often necessary to read between-the-lines when governments are officially pontificating or sponsors are advertising their products on TV. I’m sure that we”re all quite familiar with the term “truth in advertising”, right? One relatively recent instance involved our government’s officially terminating it’s remote viewing program some time ago. Afterwords, they hired some professional debunkers (whose names have been omitted here to avoid any legal consequences) to re-evaluate the results from the many years of research and application. 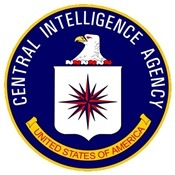 Once these debunkers finished their manipulation of this program’s statistics, it suddenly appeared as if the entire remote viewing program was little more than an experiment in stupidity, gullibility and naivety coupled with an error in judgment and reasoning on the part of our military and intelligence community (which of course is always possible when dealing with any government). These debunkers then claimed that with their “corrected” statistics, all the years of significantly positive qualitative and quantitative results were actually meaningless dogma and amounted to little more than the work of ignorant zealots who were misinterpreting their own data. One may ask why our government even resorted to disinformation regarding such an underfunded and poorly utilized intelligence program? The reason is rather simple and yet complicated at the same time. Even after all the development work, numerous experiments and applied usage of remote viewing, no one really understood how and why it worked, and why, on occasion, it failed. Our scientific theories and models of space-time and consciousness are far too crude to encompass such extraordinary perceptual events. However, the brilliant minds in our government wanted to insure that our immediate, as well as any potential future enemies, could never employ such non-localized spying techniques against us, as there are no known effective countermeasures against remote viewing. The most efficient way to protect us against against future paranormal adversaries would be to make everyone believe that remote viewing never worked to begin with and that it’s nothing more than a waste of time, money, material and assets. Yeah right? During the initial phases of the remote viewing work, the United States Navy was so paranoid that Soviet psychic spies could penetrate into our deep diving boomers (nuclear ballistic missile submarines) and the Strategic Air Command’s underground ICBM launch complexes to psychically force (remote influence) our servicemen into pushing the wrong buttons or not pushing any buttons at all, that the military were actually trying to design and develop talisman and/or amulets to be worn by servicemen in sensitive positions to shield their minds from being remotely controlled. However, I seriously doubt as to whether such ridiculously absurd countermeasure efforts produced any results. This may really sound off the wall, but it’s true. But this is what tends to occur when we’re dealing with a subject that is not fully understood, other than being aware of some of its immediate, although limited, applications. As to whether the debunker’s efforts succeeded regarding remote viewing we may never know, but that doesn’t mean that they won’t keep attempting such similar efforts. For far more detailed information regarding the nefarious and devious methods employed by our own intelligence community to discredit the voluminous data collected in remote viewing research, read another blog on this site entitled “Remote Viewing: The Good, The Bad and The Ugly”. Disinformation can be used in many different ways, but the two most common forms of it’s use are the following. A significant truth is surrounded with many lies, and once said lies are uncovered and exposed as falsehoods, the truth within the middle of them is discarded and forgotten as little more than just another of the many lies. The inverse, is where a powerful lie is surrounded with considerable truths, and when the surrounding truths are confirmed as factual, the lie within the middle is also believed to be factual. A simple way of describing the essence of the disinformational method is a line from an episode of the original Star Trek series entitled “I, Mudd”, wherein Kirk utters the following fascinating words to an android bent on controlling and stealing the Enterprise; “Everything I’m saying to you is a lie and I’m lying to you now”. Confusing, disturbing and certainly disorienting, but nonetheless, effective. Precise, concise and succinct, is not it not? Most people are probably not aware of the fact that our government’s intelligence apparatus has dramatically affected media such as newspapers, television and radio to disinform the public regarding UFOs for many decades. One of the best sources of information on this topic are two books written by Richard M. Dolan; UFOs and the National Security State, Vol. 1 & 2. Apparently, the powers that be do not want the public to believe in the existence of UFOs or aliens. The reasons for this attitude on the part of our government are numerous, and many of these are discussed in Dolans’ excellent books as well as my own. Ever notice how at the end of almost every TV news story on UFOs there is a line thrown out by the reporter ridiculing the entire matter? During a UFO flap that occurred during the mid-1990’s there was one report that came in of a large, glowing object hovering over someones home in the mid-west. The object in question was probably even bigger than the house it hovered over, yet the media suggested that what people really saw was the moon or the planet Venus. What? If a person cannot differentiate between the moon that they’ve seen all their life or a distant light in the sky (Venus) and a very large, structured, glowing object hovering over their home, they need to be institutionalized, as they’ve lost their mind and are now psychotic. This brings me to the most current bit of moronic, idiotic and downright historically absurd piece of disinformation I’ve ever seen regarding UFOs. A new book written by Annie Jacobsen, Area 51, goes into some detail discussing many previously classified military/intelligence programs at Nellis Air Force Base’s Groom Lake and Area 51. Much of what Jacobsen writes of is very precise, historically accurate but already established within the public domain long before her book was even written , except when it speaks of UFOs and the 1947 Roswell, New Mexico crash. The Air Force has spun numerous tall tales in their attempt to obfuscate the truth about Roswell. At first, it was just a weather balloon. Then, several decades later, the story was changed to something called “Project Mogul”, a high-altitude surveillance balloon used to monitor nuclear tests within the old Soviet Union before we had spy planes and satellites. But wait, that didn’t account for the diminutive alien bodies allegedly recovered from the crash site. The next level of disinformational spin from the Air Force was that the strangely colored bodies were nothing more than crash dummies utilized to test new types of ejection seats on supersonic aircraft. Wait a minute, the crash dummies (full sized, not little humanoids as described by Roswell witnesses) were not even used by the Air Force until the mid-to-late 1950’s, so how could this explain the bodies recovered at Roswell in 1947? Oh, well it seems that the people who claimed to have seen the bodies really couldn’t remember what decade they were in at the time and mistakenly thought it was 1947, when it was actually 1955-1958? Sure, we can all lose a decade or so every now and then. Happens every day, right? Or is it every decade? How stupid do these government liars really think we are? Pretty damn stupid and ignorant apparently. Jacobsen’s book spins the tale that the Soviets, with the help of Dr. Joseph Mengele from Nazi Germany, helped them genetically engineer some tiny, alien looking human pilots that they inserted into a makeshift spacecraft that was derived from the Horton brother’s flying wing design for the Nazi Luftwaffe at the end of WWII. This piloted vehicle was then purposefully crashed in the New Mexican desert in the hope of triggering mass hysteria and panic across the United States similar to what occurred during Orson Well’s 1938 War of The Worlds radio broadcast. My god, these people are working in the wrong profession, as they should really be science fiction writers within the entertainment industry. Interesting story to say the least, but full of more holes than a large block of Swiss cheese. Where to begin? Let’s see, Joseph Mengele did NOT go to the Soviet Union at the end of second world war. There is absolutely no evidence whatsoever suggesting that Mengele even desired to go to the Soviet Union, or that they wanted to get their hands on a real alien body that the Nazi’s might have recovered from an alleged, unconfirmed crash of a UFO in 1936 within Germany’s Black Forrest. Had Mengele even attempted to find sanctuary there, he would be been immediately killed. He may have come to the U.S. for a while, but clearly ended up and died in Argentina. How could anyone, including Mengele, have genetically engineered anything back in 1947 when DNA had not even been discovered yet? That wasn’t until the early 1960’s. Next, the first Horton Brothers 229 flying wing crashed during one of its’ early test flights in Germany due to its port engine failure. The debris and a second, unfinished prototype, were brought to the U.S. along with the Horton brothers after the war. In fact, Jack Northrop’s YB-49 flying wing, so beautifully depicted in the original War of the Worlds movie (1956) was, in many ways, derived from the Horton Brothers flying wing. Due to some poorly clarified political backstabbing during the 1950’s, Northrop’s YB-49, which first flew in 1948, was never deployed into military service even though it apparently demonstrated superior aerodynamic qualities, greater ordinance capacity and higher cruising speeds on military power. So far, Jacobsen’s batting zero. One last note here regarding her claims. The configuration depicted within her book representative of the crashed Roswell craft could not have flown based on any form of jet or rocket propulsion known back in 1947. Additionally, the description of the Roswell crash material does not even conform to any type of aerospace materials that existed then or now, except some crude forms of memory metals currently in use, but they do not possess many of the qualities described by the individuals who held remnants of the real Roswell crash. In the end, there’s one final question that needs to be addressed regarding Jacobsen and her book. Is Jacobsen a mole working for the U.S. government’s military/intelligence apparatus or, is she just a naive, gullible and relatively ignorant reporter who is being used by our government to propagate more erroneous myths and disinformation? Given that she’s a writer/reporter for the Los Angeles Times newspaper, what better way to be unwittingly used than as an asset for our government as they already are familiarized with how our government’s used the media to disinform the public regarding UFOs? Either of these possibilities are equally plausible. However, lending support to the latter of these possibilities was the appearance a new show “Area 51 Declassified” on the National Geographic Channel last Sunday evening, for which Jacobsen was a consultant. Given the coordination between the release of her book and the immediate broadcast of this show, strongly suggests that this entire matter is a very well orchestrated disinformational campaign put forth by factions within our government. Reinforcing this belief was the airing of a two-hour National Geographic show entitled “When Aliens Attack”, immediately preceding the Area 51 show. Why in the world this show was produced is really a mystery. “When Aliens Attack” posited the unlikely scenario that the Earth will be invaded and conquered by malevolent extraterrestrial life forms in search of protein and chlorophyll, and that we have already prepared a battle plan or contingency combat strategy to deal with such an event. For a government that’s been denying the very existence of UFOs and aliens for more than sixty years, why are they even planning for such potential hostilities? That’s the equivalent of planning for Godzilla’s or Rodan’s hostile actions (and remember, they’re movie monsters). Given how long it normally takes to successfully pitch, sell, produce and air a show on TV (especially on this subject), this whole matter stinks to high heaven of a well organized project to dramatically rewrite history and misdirect our attention in order to dissuade us from believing in UFOs and their occupants. Jacobsen’s publisher has put forth an extraordinarily intense PR media campaign on this book. I wonder who the parent company of the publisher is and if they have any asset connections to the intelligence community? Only time will tell. In the end, please remember that all forms of disinformation work best when used against uneducated, ignorant, gullible, naive and apathetic populations, which is primarily what many of us are, especially as related to these subject matters. This type of disinformational program has been used quite extensively over the last six decades, but the real question here is; WHY IS IT BEING DONE NOW WITH SUCH INTENSITY? WHAT IS IT THAT WE’RE NOT SUPPOSE TO BE PAYING ATTENTION TO NOW?